The Secretary for Transport and Housing has said that the government did not maintain records of a crucial informal meeting that led to the decision to delay parts of the controversial Yuen Long housing plan. 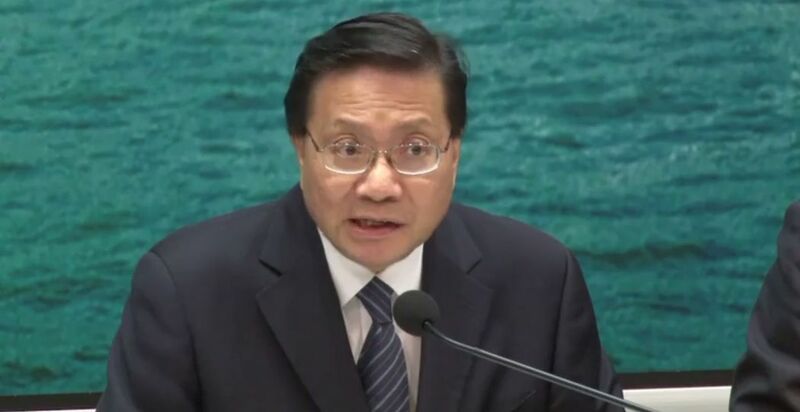 Anthony Cheung Bing-leung revealed at a press conference on Wednesday that there were four “soft lobbying” sessions – informal talks – with rural leaders and district councillors over the development plan in the Wang Chau area. 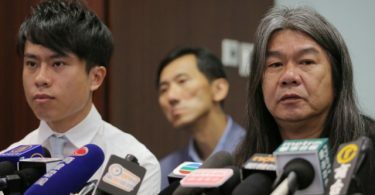 Cheung previously said that he was unsure if there were any records of the informal talks – but local media acquired government documents that recorded the results of the soft lobbying. Secretary for Transport and Housing Anthony Cheung Bing-leung. Photo: Apple Daily. “Housing Department colleagues confirmed to me there were no meeting records. But we found internal emails from colleagues who attended the talks, which were reporting to their seniors the opinions collected from the talks,” he said. The first meeting was on July 16, 2013, with former Yuen Long District Council chairman and lawmaker Leung Che-cheung, district councillor Tang Hing-ip, Ping Shan Rural Committee chairman Tsang Shu-wo, vice-chairman Tang Tat-sin and Heung Yee Kuk councillor Tang Chi-keung. Cheung said they met with the Housing Department, and the Home Affairs Department of the Yuen Long district. They raised concerns over the project providing 17,000 housing units in Wang Chau and opposed it, Cheung said. “Colleagues of the Housing Department expressed at the time that they cannot accept reducing the size of the project,” Cheung said. The second session was on September 5, 2013. Officials from the Housing Department, the Home Affairs Department, the Innovation and Technology Commission, the Hong Kong Science Park company and a consulting agency attended and met with the five people. Cheung said they introduced the 17,000-unit plan and the expansion of the Yuen Long Industrial Estate. 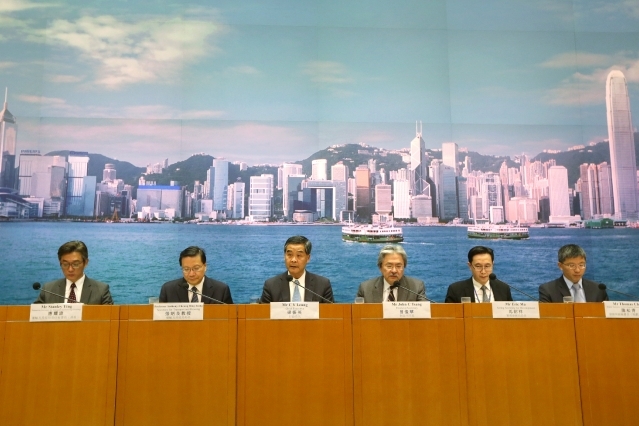 But – according to records cited by Cheung – the five also refused to support the plan, saying that the government should only build Phase One – a proposal for only 4,000 units. The land for the remaining 13,000 units was occupied by Tsang Shu-wo as a car park. The crucial third encounter was on March 12, 2014, when Housing Department and Home Affairs Department officials met with the five again. Cheung said the meeting was to discuss the first phase of 4,000 units. 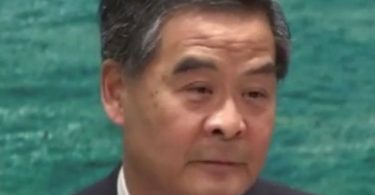 Cheung did not explain how the government accepted the plan to reduce the size of the project – although Chief Executive Leung Chun-ying had said at the press conference that it was his decision after listening to suggestions from the Housing Department. “After searching for records, we are unable to find more information about that meeting,” Cheung said. 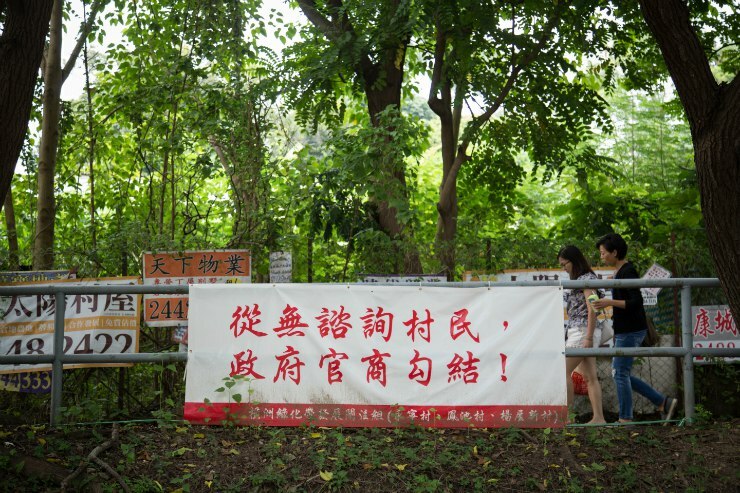 Banner in one of the Wang Chau villages to be cleared says that villagers were never consulted. Photo: HKFP/Stanley Leung. The last informal talk on March 17, 2014 was with Zachary Wong Wai-yin and Roy Kwong Chun-yu, two pro-democracy Yuen Long district councillors for the affected areas near Wang Chau. Cheung claimed they agreed with the plan for building 4,000 units, though Kwong later denied understanding that it was an informal talk. “I must stress that these kind of informal consultations and persuasion work is very common for government projects affecting local communities, but they will not replace the normal consultation process,” he said. Cheung added that he agreed with splitting the project into phases, as suggested by the Housing Department after the informal talks. The Yuen Long District Council received a proposal for the 4,000 units in June 2014. “If we insist on building the three phases together, I am afraid we cannot even start the first phase now,” he said. The first phase of 4,000 units will be on a piece of greenbelt land where more than 100 non-indigenous villagers reside. They have said they were never consulted and will be forced to move before January 2018.